Signs of baseball insanity: you go on vacation and find a baseball friend who will agree to text you the second there is (if there is) a Cliff Lee deal made while you are gone. 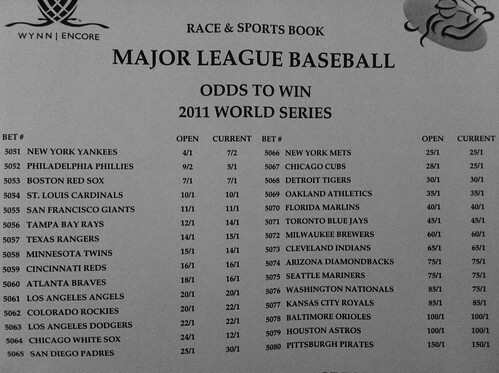 Cliff Lee screwed up the betting odds last year before I could place my bets at the sports book, and now he’s done it again – not that I could bet for the Phillies anyway. Don’t worry, I am not going to trot out the “Well at least we can see Cliff Lee pitch often” platitude, I used up those coupons with Halladay. BLOGGER CONFERENCE CALL WITH SANDY ALDERSON.